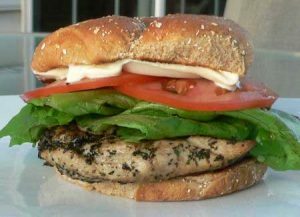 Last week I posted a really easy peppercorn dry rub to put on a burger. 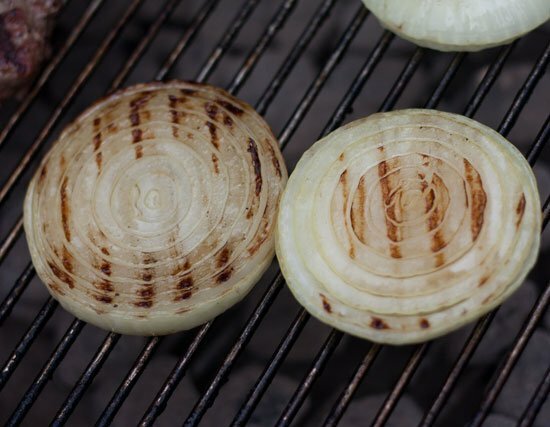 Today is all about another simple addition to a burger: Grilled Vidalia onions. These are so good that I could eat them by themselves. Grilled onions are soft, sweet, and very tasty. 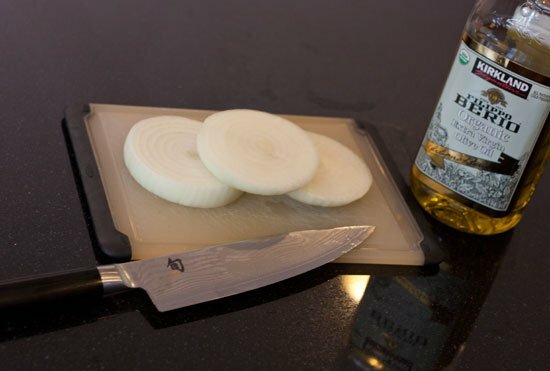 They are great for a burger topping or you could also slice them and serve along with a steak. Note that I borrowed this photo from Old Shoe Woman on Flickr. First off let’s learn something about onions. Onions obtain their strong, almost hot, flavor from sulfur containing molecules. Interestingly, a while back, some folks in Vidalia, Georgia decided to plant some onions. It turns out that the soil in this area of Georgia is quite low in sulfur. Thus, onions produced in this area do not incorporate nearly as many of these sulfur containing molecules. This results in an onion which is quite sweet rather than hot. 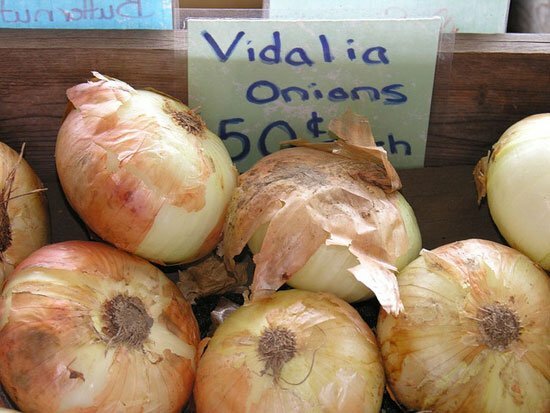 If you buy a Vidalia onion you know that it came from only a few select areas located in Georgia. Pretty interesting. These onions are my absolute favorite because of how mild and sweet their flavor is. With that, here’s how you grill a Vidalia onion. Start by peeling the outer layers of the onion away. You don’t want any paper-like layers or any green layers. 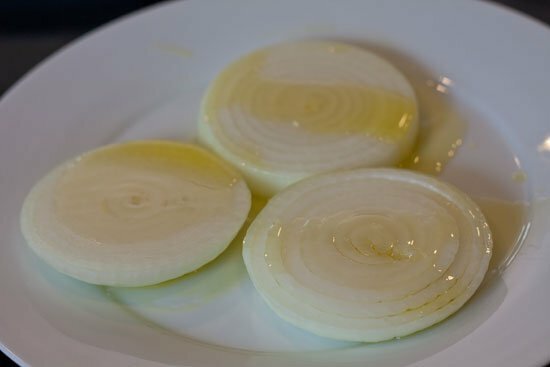 Once these layers are gone, cut the onion in thick slices. Take a look at the onion prior to cutting and make sure you cut it in the direction which will leave you with concentric rings of onion. After cutting the onions, pour olive oil all over them. 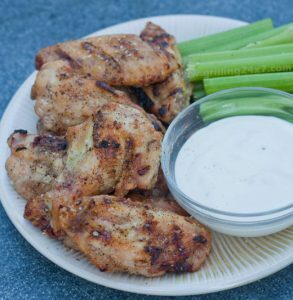 Once the onions have oil on them go ahead and prepare your grill and whatever else you are going to cook. You want to grill the onions over medium heat. Medium heat will give you a bit more control and you’ll be less likely to burn them. You know you have a medium heat if you can hold your hand one inch over the grill grates for about 3-4 seconds. If I’m making something like burgers I’ll be cooking over medium or medium high heat. I usually make sure that I have another area of the grill that is a strict medium heat to cook these onions. Since heat can vary quite a bit from cook to cook I’m a fan of peeking under the onion to see just how charred it is prior to flipping. Some people say to skewer the onions. I find this a bit harder to do. I prefer to lay the onion right on the grill. 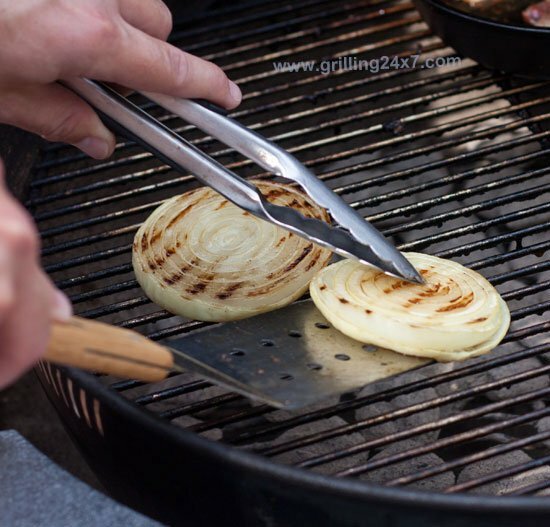 When you are peeking or when it is time to flip the onion slip a small grill spatula under the onion while using tongs to hold the inner concentric rings of the onion together. It’s very easy for this whole thing to fall apart. It’s not the end of the world if it does but if you do it carefully the onion probably won’t fall apart. Remember, it’s a quick slip of the spatula under the onion while holding it securely with some tongs on top. Once you have it on the spatula you can flip it like a pancake. This can take anywhere from 5-10 minutes per side depending on your heat intensity. 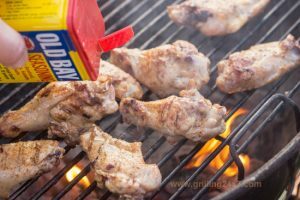 I like to grill it until it browns nicely with grill marks. You can tell when you flip it just how tender and soft these onions get when grilling. When they are soft, they are ready to eat. 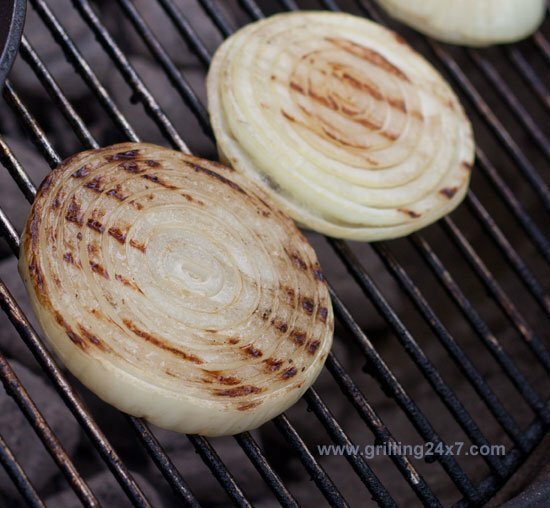 Grilled Vidalia onions are such a nice soft and sweet addition to a burger. Grill a burger topped with a peppercorn dry rub, add some mild cheese, and put grilled Vidalia onion slices on top! Sounds great to me! I like to almost quarter the onion but not all the way then sprinkle with salt and pepper. After that put some butter inside onion and wrap with 2 or 3 slices of bacon and wrap in foil like a baseball. Then put in grill and turn or roll for 20 minutes or so. This is one of the best parts of summer.